It is beginning to really feel like autumn. The front yard is covered in leaves, the furnace has been turned on for the year, and Daylight Savings Time is over, shortening our days. This weekend certainly felt like fall – winds blowing, football on TV and a fire in the fireplace. I am not a bourbon enthusiast that dwells on packaging – sure, a nice looking bottle is always welcome, but it certainly isn’t what I use to define what I’ll be drinking. 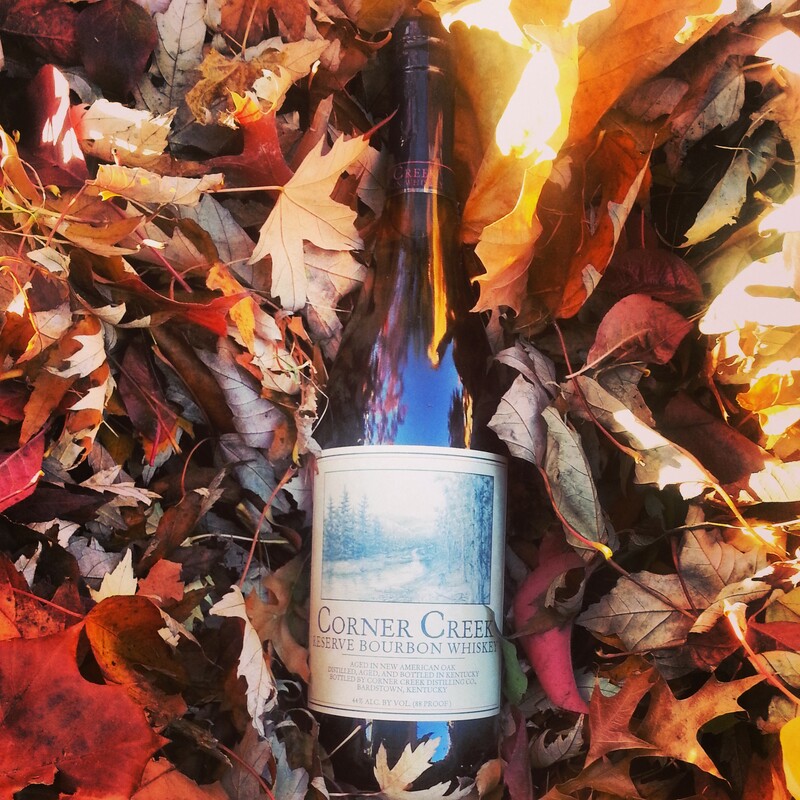 That said, this week’s selection Corner Creek is unique because it looks like a plain and simple wine bottle. Not a looker, necessarily, but not a bad bourbon either. Corner Creek comes to us from… well, no-one on the internet seems to be sure. Many signs point to it being a Willett product, but I haven’t seen that confirmed. Where-ever it is from, it is a blended bourbon, and one whose unremarkable bottle belies a unique, if not amazing, quality drink. My take: The nose is earthy. It smells of grain, floral, and a slight hint of sweetness, like vanilla. Upon a little air, the different grains are more obvious – rye and wheat especially. Finally, the oak is definitely present as well. The taste has one unique characteristic that sets it apart from most bourbons I’ve tried: it was very dry. Almost like a red wine dry. The taste was soft, and had notes of vanilla, oak, with a touch of nut and leather. It wasn’t unpleasant, but each sip left me wanting a little more flavor. The finish was equally smooth, and Jen and I agreed this was a pretty good, if unspectacular, bourbon. Then, we added the ice chip. Ice opens some bourbons up and closes others – this falls into the former category. While the taste stayed dry, we could get a touch more of the citrus peel and caramel in the flavor. This is not the bourbon I would drink for something unique, but I would recommend it to a first-time bourbon drinker, or someone for whom harsher bourbons left a bad impression. And the price point ($25 in Michigan) was reasonable.